User friendliness; fact or fiction. Know the appropriate funds to invest in a unit new or used. DICOM and its clinical use. First, let’s look at user friendliness. “User friendliness” by our definition is the ability to use a system quickly related to image optimization and knobology. One area specifically is associated to their technical developments. In keeping up to date, we interview the sales team as well as leaders in each of the top 5 manufacturers in this specific area. We accomplish this in various ways ranging from face to face interviews, phone inquiries, or being part of a hands-on experience. You may find it interesting, our team did, that each manufacturer describes themselves as “user friendly.” To build on this a bit, Connie and the imaging team for Sparrow Solutions realized the need to be more specific in order to help you to know how easy it is to use a system. To test it, the Sparrow team has put new users in front of various systems and observed the ease of use themselves. Knobology ease, image optimization, and the time needed for both, are valuable considerations. In our clinical setting, it is best to invest time in the patient, not trying to figure out the machine. A 2D system should be mid $20,000 range. A 3D/4D system should be low $30,000 range. Each of these systems should include all probes, printer, cart for a laptop style, shipping, installation, and system training (1 day for 2D and 2days for 3D/4D). The next natural question is, “Do we need 3D?” There are several things to consider when looking at new system and 3D/4D. What is in your strategic plan for 3, 4, 5, 6 years out? Would 3D imaging benefit your team at what’s on the horizon for the community? Who do you serve primarily? College students? Young professionals? Underserved? Each has a different thing to consider related to this special imaging. Do you currently offer OB care? What is the average age of patients in your clinic? Do you have a plan to grow the current marketing plan? What would need in order to provide such imaging? Our Sparrow Facilitation Team can coordinate this conversation with all team members at your clinic. Lastly, let’s touch on DICOM (Digital Imaging and Communications in Medicine). DICOM is a used in almost every hospital connecting their digital imaging devices to PACS (Picture Archiving and Communication System). Together they are cost prohibitive for a small clinic and are not necessary for confidentiality. It is more common for PMC’s to use a system like eKYROS to share images electronically and safely. Another option is to save the images to a USB and send them to the interpreting physician from the clinic’s computer. You now have the discussion topics, as well as an understanding of what Equipment Facilitation is. 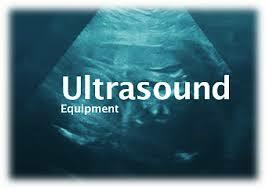 Sparrow Solutions Group brings years of ultrasound manufacturer experience to you through this complimentary service. We hope you will take a moment to visit with us and see how we can assist you in this important piece of your clinic operation. We encourage you to reach out to our office at 702-925-8737 and leave a message for Steven or Connie. One of us will call you back and get you set up with a few tools to help with the process.